Children from migrant families, especially those who migrated illegally are often the subject of poor access to quality education and schools in Malaysia. That was what architect Robert Verrijt wanted to change. Robert Verrijt who is chief design officer of NGO billionBricks noticed that children from illegal immigrant families in Sabah, Malaysia are often forgotten if not marginalized when it comes to going to school. That was how Verrijt first thought of building a school, Etania Green School, for these stateless children. 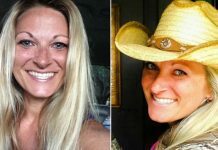 “There’s a mindset among some who work with the marginalized, that these people should just be happy with what they’re given – no questions asked,” he said. Verrijt believed that all children, regardless of their socioeconomic backgrounds deserve a quality education. To achieve the mission, he believes in providing a conducive environment for the children to study. 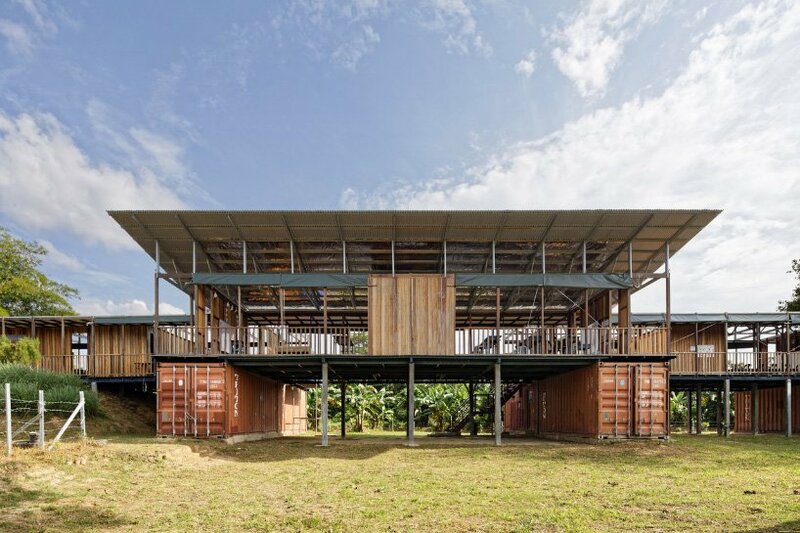 In a collaboration between non-profit organization billionBricks, design studio architecture brio, and Harvard Business School, a school for stateless and marginalized children is built. The school is designed to cater for 350 children between the ages of 5 to 13. 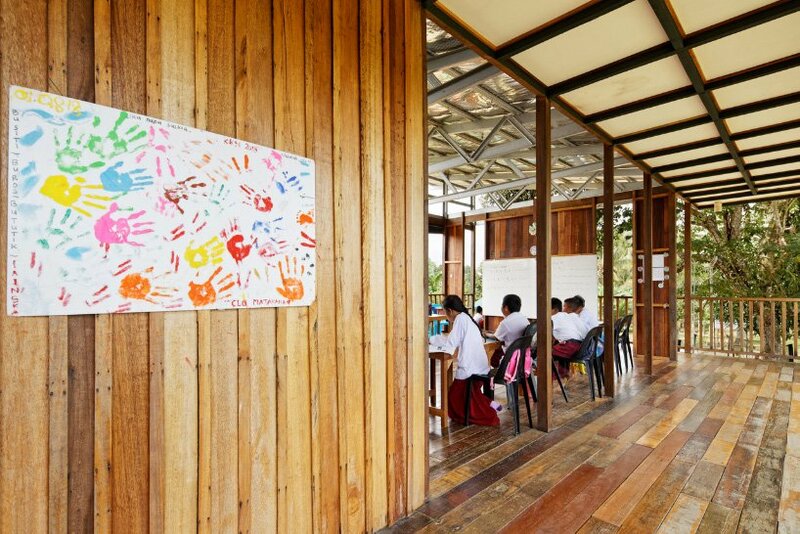 It is the learning center for the children from migrant families who moved to Malaysia, usually illegally. 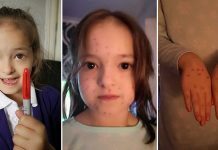 The school is the first of 30 which have been planned to be opened in the Malaysian state and was officially opened earlier this year in January. 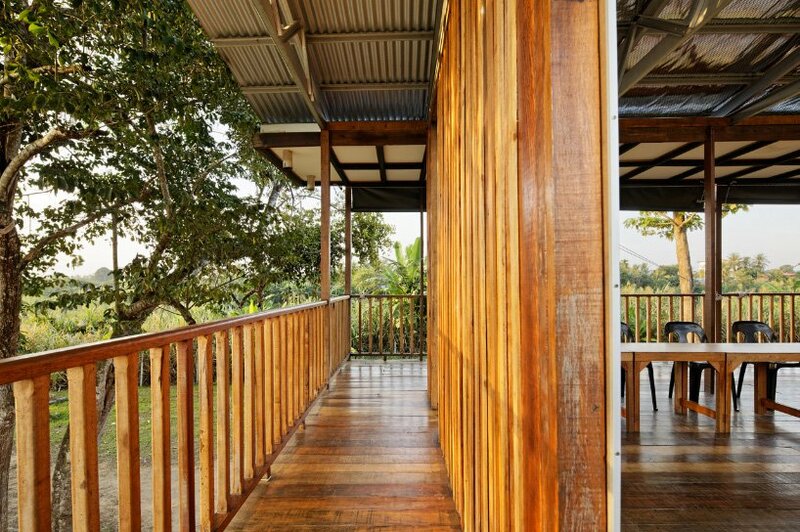 The design took inspiration from the traditional Sabah house, longhouse as it is located along the river with a history of flooding once in every decade. Hence, the longhouse design which sees the school built above the ground proves to be a great idea. 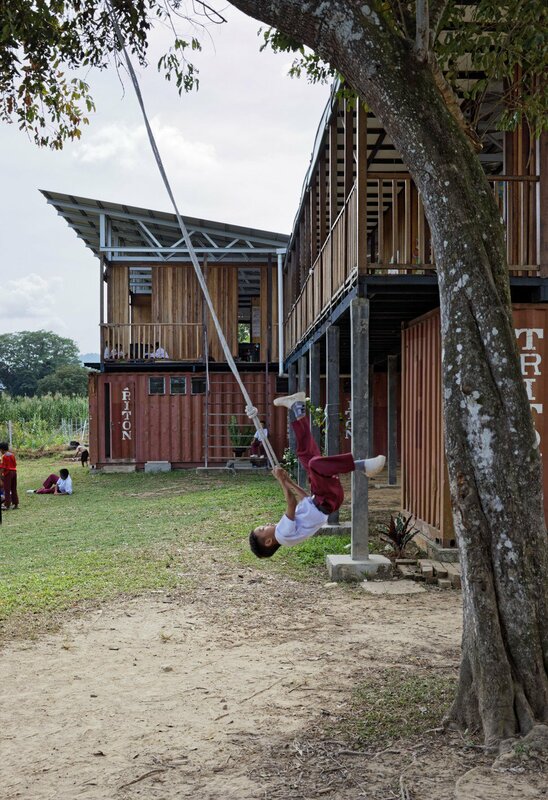 The school is made up of five decommissioned shipping containers where the containers are even used for storage and washroom facilities to optimize space. The upper floor is made from recycled timber which was sourced from a local construction company. There is also a long veranda for more open learning spaces and to connect the classrooms on the upper floor. To go to the upper floor and to the classrooms, the students can use the staircase or two ladders or a mound of dirt that was excavated from the site. 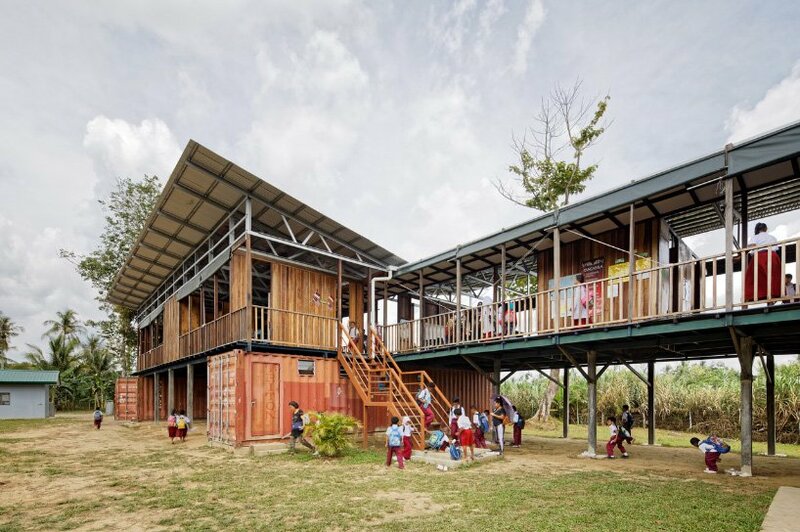 The classrooms face the east-west direction to minimize heat gain from the sun, and to capture an air draft from the river. 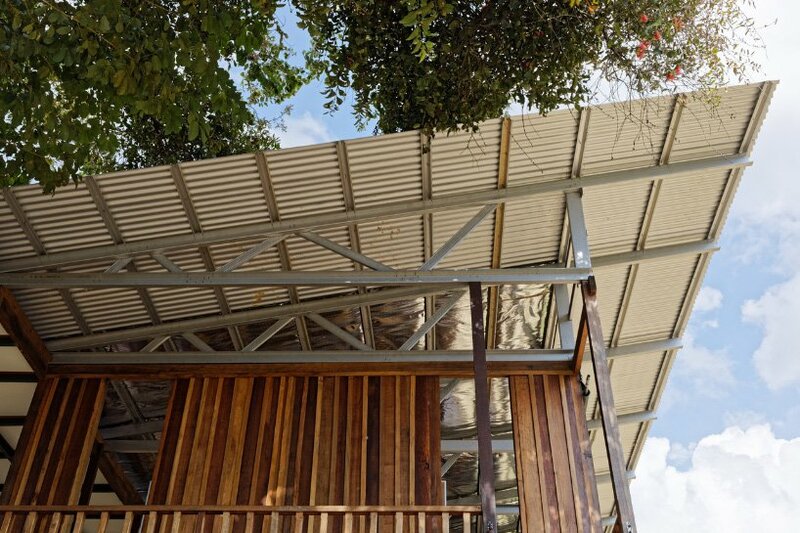 While solar panels provide the electricity, the roof catches enough rain for all water needs. Thanks to its eco-friendly design, Etania Green School won the sustainable project category of the Trends Excellence Awards for Architecture & Design, in Mumbai by Home & Design Trends magazine. 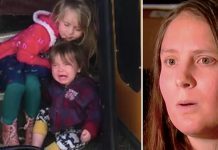 According to Verrijt, while the award is always welcomed, it is not their priority. 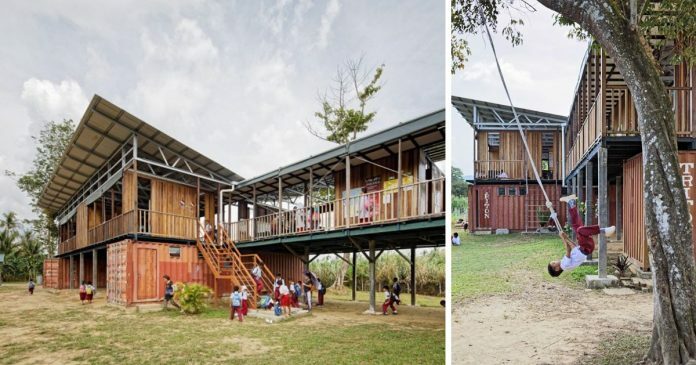 “Apart from designing functionally, and using materials that are sustainable, the result can also be seen in the pride that these children take in their school,” said Verrijt. 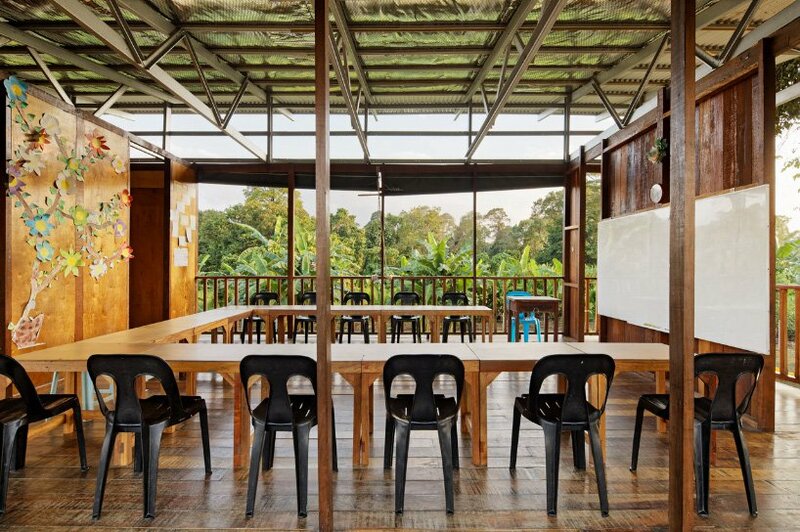 “It’s breezy, it’s by the river, you look out onto greenery – and you have this beautifully designed building, which follows the cultural aesthetic of Sabah state, of which the children are so proud,” said the school’s co-founders are Dr Kathryn Rivai.